P & S Services are established and recommended Newbury builders, covering West Berkshire, Hampshire and all surrounding areas. We are a family owned Newbury building and construction company and firmly believe in offering a fair, honest and affordable range of building and property maintenance services. All work is carried out in line with current Building Regulations and to the highest standards. Working closely with our valued clients, our professional team of fully insured and experienced local tradesmen undertake the entire project from start to finish. We always ensure our customers wishes are taken into account, but we can offer help and advise if needed. P & S Services are experienced Damage Management Contractors. If you need assistance with flood/storm damage or general insurance work, please contact us. P & S Services has been established since 1985 and is owned and managed by Ian Pope. I am a City & Guilds qualified bricklayer by trade. I have worked all over the world, on both large and small projects, for the residential and commercial sector. 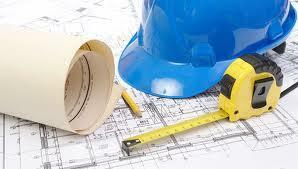 I have considerable civil engineering and construction experience. I am familiar with NHBC and current Building Regulations and have a good working relationship with West Berks, Basingstoke and Deane and Vale of the White Horse Building Control departments. I also work closely with various local architects. I am fortunate to be able to pass on my knowledge, skills and experience to my son Stephen and working together, our aim is to provide a high quality, yet affordable range of building services and property maintenance. Our permanent team of local, professional tradesmen have a wide and varied range of skills meaning we very rarely have to sub contract. However, when the need arises we always use the same local contractors to ensure a high level of continuity. We are very aware that we work in an industry that doesn't always have a good reputation. However, we are determined that all our valued customers will receive a fair, honest and transparent service from us. From our quote, to our clear stage payment structure through to job completion, you will always know where your money is being spent. P & S Services Ltd is fully insured and place great importance on, and are committed to ensuring the health and safety of all. To achieve these objectives, we ensure a safe working environment, provide satisfactory facilities for the welfare at work of staff, safely maintain plant, machinery and equipment and provide instruction, training and supervision to ensure the health & safety of our staff whilst at work.